There are those of us who in some cases where a Hair Transplant is not an option. It is sometimes difficult to admit this, but because of major factors in our lives a transplant is no longer an option. Although we are a Hair Transplant site, our best interest is for the patient and what is best for their health and well-being. Hair Loss, although a blow to the ego, is not life threatening. Therefore, any remedy or solution should not put the patient in harms way. It is always best to consult with your doctor to see what the best options are for a temporary or permanent solution. When would a Hair Transplant not be an option? One of the top reasons for Hair Loss is when taking some form of powerful medication. Chemotherapy (Chemo) comes to mind which is used in the treatment of certain types of cancer. Chemo usually includes one or a combination of powerful drugs to cure or to reduce the spread of cancer. One of the side effects of is that it not only destroys the cancerous cells, but also the healthy ones. If you know anyone who has gone through Chemo, it is very damaging to the body and spirit and in some cases worse than the disease itself. An obvious side affect is the loss of hair during the treatments. In many cases the hair does grow back, and is sometimes a different color, texture and style. Whether the hair grows back or not is contingent upon many factors (age, drugs used, type of cancer, length of treatment, etc.,) and it is difficult to give an approximate percentage of those whose hair grows back. It is best to speak with your doctor about this issue and the solutions. During Chemotherapy there is not a Hair Transplant solution for the patient. In some cases where the patient desires a temporary solution, a wig is used before the hair grows back. In the cases where the hair does not grow back, a Hair Transplant is also not an option. 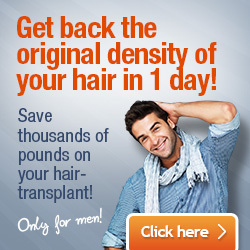 For a Hair Transplant to work there must be donor hairs, and in the case of Chemo, all body hair is lost. Certain types of Alopecia Areata or “Spot Baldness” are another instance where a Hair Transplant is not viable. This is an autoimmune disease (approximately 80 types), and can be caused by stress, environmental factors and family history. The disease usually develops in children although is not life threatening. One of the problems with treating those suffering hair loss from Alopecia is the inconsistency of the loss and the unpredictable pattern. The loss is not like a receding hairline or even a mature hairline. It has none of the characteristics or traits of male pattern baldness. Areas that are thinning or that are completely bald can grow the hair back. Because of these characteristics, it would be foolish to undergo a hair transplant as the results could be very poor at best. The hair loss can also affect the whole body, leaving the individual literally hairless. It’s a disease that effects both men and women and so far, there is no cure. Can age be a factor in being a non-suitable candidate for a transplant? 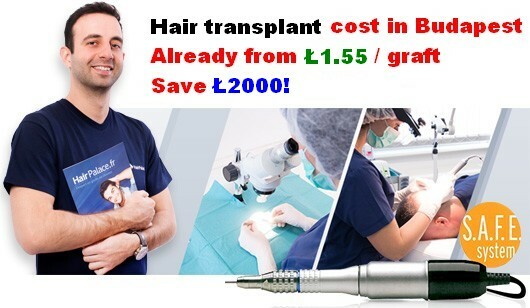 Transplant surgeons always advise their patients that the sooner they receive a hair transplant the better the chances are that it will be successful. This is not a form of aggressive marketing, but the reality of aging and all the problems that come with it. As a young or middle-aged man suffering from MPB (Male Pattern Baldness) we instinctively procrastinate and push many health issues down the road. Countless number of men and women have suffered serious illness or death because of their reluctance to go see a doctor. This is the same with Hair Transplants as there is a point of no return. A young or middle-aged man who is healthy is a perfect candidate for a transplant procedure. In most cases they are healthy with no medical issues, which is essential in the growth of the transplanted hair. Just as younger men heal quicker and avoid sickness more than older men, this holds true for a transplant. At about 65 years of age, transplant surgeons feel that it is no longer a viable option as the chances for regrowth of the transplanted hair is not promising. There is also the issue of health and having non-essential surgery at this age. Surgery is to be avoided at any age, but after 65 complications are more likely. Because you use your own hair from the sides or back of your head, its important that you have a large enough amount to extract from those areas. Although with age these areas do start to thin, and a younger man has fuller and healthier hair in these areas. The other advantage of having a transplant at a younger age is that you can undergo more procedures as certain areas continue to recede or thin. Don’t wait until your older and no longer able to have the full head of hair you’ve always desired. Can thin or fine hair prevent me from having a Hair Transplant? We know that there are certain ethnicities who have fuller hair than most as well as others whose hair is finer and thinner. Those from the Northern European areas, specifically Scandinavia have lighter and more fine hair. Both men and women are prone to this, although this is not a hair loss issue. Many will have this type of hair for the rest of their lives with no loss issues. On the other hand, there are those whose hair does not follow the usual receding hairline or losing hair on their crown. 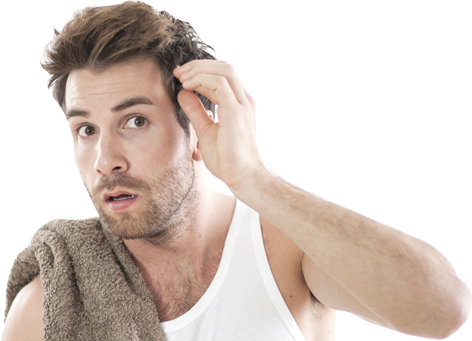 Some men suffer from thinning hair all around their scalp. Many have had a full head of hair when they were younger, although as they went through their 20s, the hair on the scalp started to thin. In this situation, a hair transplant is usually not a good idea. As discussed above, it is essential to have a donor area which can provide enough hairs to the balding scalp without leaving the donor area deficient. “Robbing Peter to pay Paul” will leave the donor areas looking worse for wear and would just take rearrange your thinning hair. In the cases with enough hair, it is not noticeable from where you took the hair and provides a natural look. Hair which thins around the whole scalp is usually a candidate for Rogaine or Propecia, providing they meet the health requirements. The advice from Hair Transplant surgeons is that the younger a patient the better chance of a full head of hair. The more you wait and procrastinate, the lesser chance there is for a proper outcome. Unfortunately, there are those who cannot receive a transplant because of a medical condition or other reasons. But with Pharmaceutical companies climbing over themselves for a cure, and a hair prosthesis continuing to improve, there is light at the end of the tunnel. Always consult with your doctor for the best hair loss options and although it is a sensitive subject, there are people who can and are willing to do their best to help you achieve a happy and more productive life.